So many churches and pastors act in fear and stay on defense when we should be acting in love and staying on offense. I’m not saying that we need to be offensive. Quite the opposite. A church on offense – a church that is aggressively offering concrete examples of Christ’s love to the world – will not push people away, but will draw them in. No matter how big or small we are. It’s time to start getting innovative and aggressive about expressing Jesus’ love to people. And meeting them where they are instead of expecting them to come where we are – or demanding that they come to where we are in the way we expect. The story below is an excerpt from my book, The Grasshopper Myth. It’s about one of the ways the small church I pastor, Cornerstone Christian Fellowship, started operating in love, not fear. And how we continue to stay on offense, not defense. Don’t do what we did. It wouldn’t upset me if you copied us, it just wouldn’t work for you. Our church isn’t your church. Our community isn’t your community. God’s way for us won’t be God’s way for you. Innovators don’t copy others. But they do learn valuable principles from others – including unexpected sources. Innovators don’t copy others. But they do learn valuable principles from others – including unexpected sources. Then they adapt from those principles to follow God’s leading for them and their community. If the principles we stumbled upon can help you establish a foundation for outreach, innovation and health in your church, we’ll all thank God together for it. Most of the best ministries we start at Cornerstone happen when we do one critical thing: stop acting in fear and step out with boldness. Fear keeps more churches on the defense than anything else. 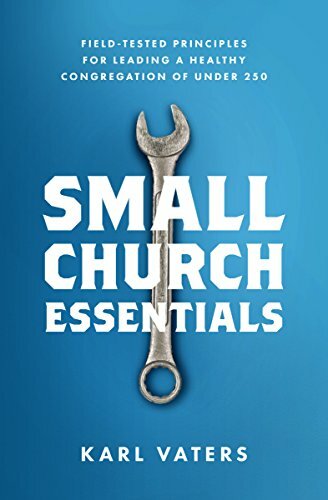 A defensive church can’t do anything but hang on for dear life to what it’s got – until it usually loses that too. Several years ago we re-tarred our old, weathered church parking lot. The tar had barely dried on it when we started hearing a commotion outside. Local teens were showing up to skateboard on the smooth new surface. That’s right. Teenagers just showed up, hanging around a church parking lot, thinking they had the right to use it as their own personal playground. We had a choice to make. Did they have that right, or didn’t they? Was the building built to welcome the community or keep it out? Do we put up signs to keep them out, or do we find skateboard ramps to invite them in?